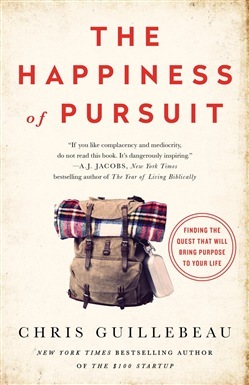 A remarkable book that will both guide and inspire, The Happiness of Pursuit reveals how anyone can bring meaning into their life by undertaking a quest. When he set out to visit all of the planet’s countries by age thirty-five, compulsive goal seeker Chris Guillebeau never imagined that his journey’s biggest revelation would be how many people like himself exist--each pursuing a challenging quest. And, interestingly, these quests aren’t just travel-oriented. On the contrary, they’re as diverse as humanity itself. Some involve exploration; others the pursuit of athletic or artistic excellence; still others a battle against injustice or poverty or threats to the environment. Everywhere that Chris visited he found ordinary people working toward extraordinary goals, making daily down payments on their dream. The more Chris spoke with these strivers--including a suburban mom pursuing a wildly ambitious culinary project, a DJ producing the world’s largest symphony, a young widower completing the tasks his wife would never accomplish, a teenager crossing an entire ocean alone, and scores of others writing themselves into the record books--the more he began to appreciate the direct link between questing and long-term happiness--how going after something in a methodical way enriches our lives. He was compelled to complete a comprehensive study of the phenomenon and extract the best advice. In The Happiness of Pursuit he draws on interviews with hundreds of questers, revealing their secret motivations, their selection criteria, the role played by friends and family, their tricks for solving logistics, and the importance of documentation. Equally fascinating is Chris’ examination of questing’s other side, including questers’ acute awareness of mortality, their struggle against monotony, and their wistful feelings once a quest has succeeded. What happens after the summit is climbed, the painting hung, the endurance record broken, the “at risk” community saved? 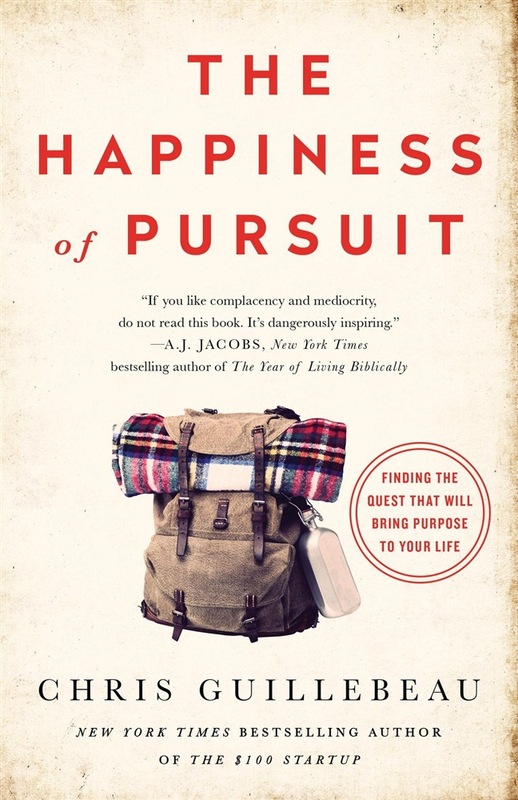 A book that challenges each of us to take control--to make our livesbe about something while at the same time remaining clear-eyed about the commitment--The Happiness of Pursuit will inspire readers of every age and aspiration. It’s a playbook for making your life count. Acquista The Happiness of Pursuit in Epub: dopo aver letto l’ebook The Happiness of Pursuit di Chris Guillebeau ti invitiamo a lasciarci una Recensione qui sotto: sarà utile agli utenti che non abbiano ancora letto questo libro e che vogliano avere delle opinioni altrui. L’opinione su di un libro è molto soggettiva e per questo leggere eventuali recensioni negative non ci dovrà frenare dall’acquisto, anzi dovrà spingerci ad acquistare il libro in fretta per poter dire la nostra ed eventualmente smentire quanto commentato da altri, contribuendo ad arricchire più possibile i commenti e dare sempre più spunti di confronto al pubblico online.